OSWEGO, N.Y. — Michael Muldoon and Dave Shullick Jr. were crowned champions of the 10-race Shea Concrete Triple Crown Championship Series presented by ASI Racewear, with the duo netting a combined $16,000 for their efforts following Saturday night’s Star Classic 150 at Star Speedway. The Muldoon Racing team leads the money earnings list for the TCCS, finishing the season as the Jim Shampine Supermodified of the Year while also finishing second in the Bentley Warren Driver of the Year standings. The end result for Michael Muldoon and company was a combined $10,000 payday, which will be awarded at Oswego Speedway’s championship banquet on Nov. 4. With their ninth place effort in the Star Classic, the Muldoon Racing team was able to hold off the hard charging Abold Racing No. 05 squad, who put together another top five effort at Star but finished a mere 25-points shy of Muldoon in the same car championship. Shullick dominated the Bentley Warren Driver of the Year championship, topping Muldoon by 130 points with the help of back-to-back Classic wins at Oswego and Star, driving for John Nicotra and Jim Bodnar, respectively. The TCCS driver’s championship will see Shullick walk out of the Oswego banquet with an extra $6,000. Thanks to a third place effort in the driver’s championship, Jeff Abold will tie Shullick on the earnings list, collecting a total of $6,000 for his efforts during the season by utilizing the same supermodified. Tim Jedrzejek and Otto Sitterly rounded out the top five in the Bentley Warren Driver of the Year championship, claiming $1,000 and $500, respectively. In the Jim Shampine Supermodified of the Year championship, Gary Morton Racing was able to hang onto the third position, with the help of driver Joey Payne at the Star Classic. Morton, who made every race but the Fourth of July special at Oswego, earns $2,000. 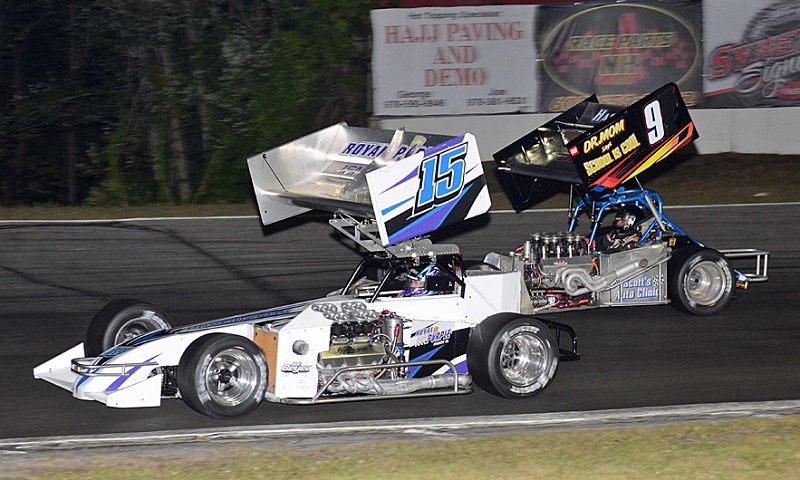 Despite missing the Hy-Miler Nationals, Gosek Racing finished the season fourth in the same car race, earning $1,000 for their efforts, with Snyder Racing completing the top five and claiming $500. Seven supermodified teams completed the required six events in the TCCS this season, with Penix Racing and Danzer Racing finishing just outside of the money positions. A total of 10 supermodified drivers completed the six race mandate, with Joe Gosek, Payne, Dave Danzer, Tim Snyder and Dave McKnight finishing out of the money in positions six through ten.